Social media & mainstream news inundate us with political wars, economic, racial, religious, and gender divide, natural disasters and climate change controversy. While we need to understand the challenges our planet faces, let us also remember and shine a light on the beauty, love, compassion and kindness that exists as well. The Wellness Universe and it’s World-Changers are inviting you to join us on September, 21, 2017 – International Day of Peace as we spread some goodness out into the world. “Established in 1981 by unanimous United Nations resolution, Peace Day provides a globally shared date for all humanity to commit to Peace above all differences and to contribute to building a Culture of Peace.” We are thrilled to support the United Nations International Day of Peace theme for 2017, “Together for Peace: Respect, Safety and Dignity for All” and create our very own campaign, One Ripple, to bring together humanity through individual acts of peace, love, compassion and kindness. 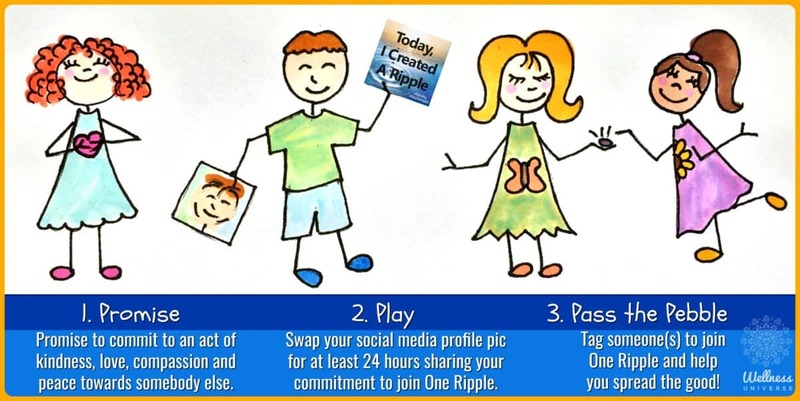 Every choice creates a ripple. 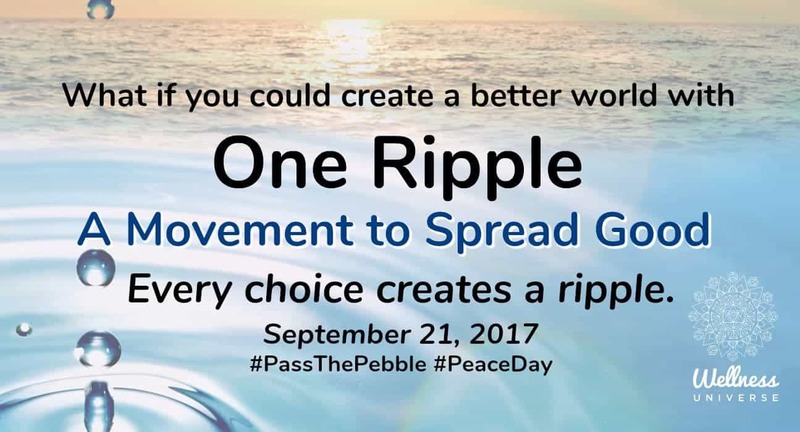 I #PassThePebble to you! It’s super easy to talk about wanting a better world, but let’s you and I create it together. 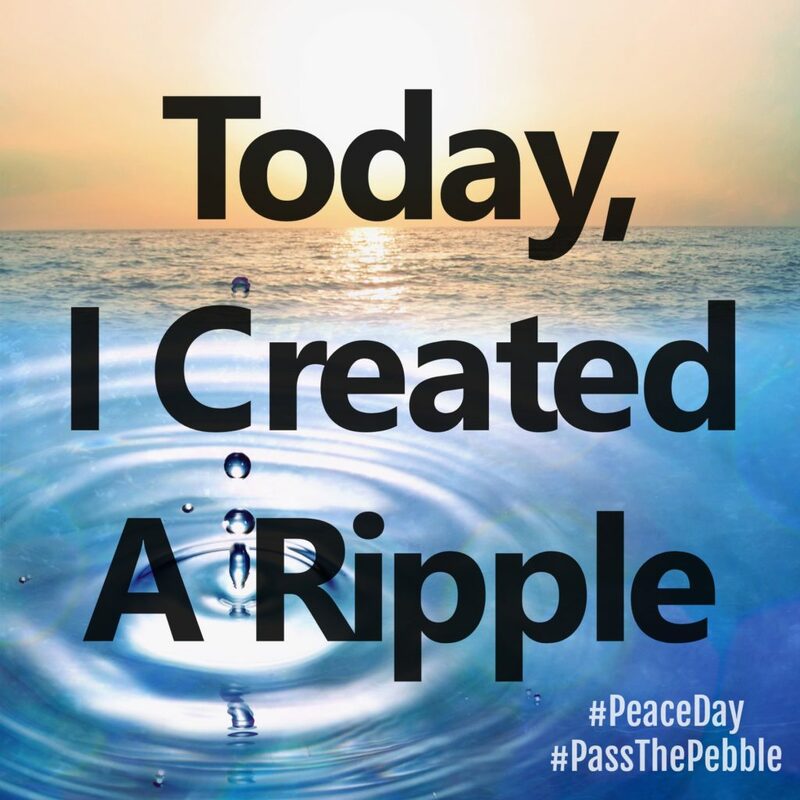 I hope you will join me as we create One Ripple of good across the world for #PeaceDay. 4. Go to a animal shelter and give some love to an animal.